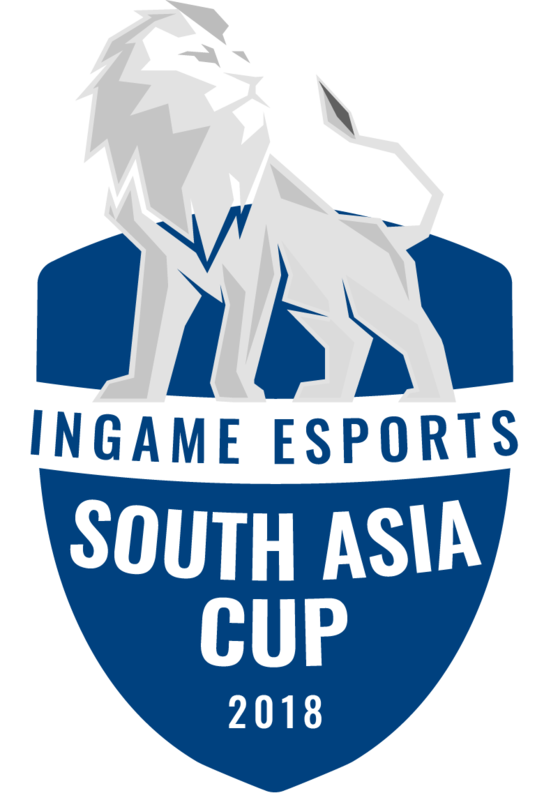 The rules listed on this page are applicable to the IGE South Asia Cup organised by InGame Esports. These general rules apply to all teams, players, managers and spectators who register or attend the tournament. These rules will override any specific clauses in the game rules, unless otherwise specified. 1.1.1. – In order to represent a country at the IGE South Asia Cup, each athlete should be a citizen of the respective country the athlete is representing. – slander of the organisers or it’s administration, partners or sponsors. Players have to use the tournament accounts that are provided by the organisers. The accounts will be in Garena, and login details will be provided to teams when they are readying up for their match. No player is allowed to be a part in multiple teams or gaming clans. If a participant is found to be multi-clanning or in multiple teams, the player will be banned for a minimum period of one year. In the case of teams, all teams the player was a part of will be disqualified. 2.5.1. – The tournament format for the IGE South Asia Cup will be broken into 2 stages – round robin group stage leading to a grand finals. The round robin group stage will be a single match bo1 round robin where each team plays against the other. At the end of the group stages, the top 2 teams will play a bo3 grand finals to pick an overall champion. 2.6.1. – Managers may be in the match area prior to the end of the warm-up period. They may return between games for up to 5 minutes before the next game in a series. 2.6.2. – Under no circumstances may a manager be in the playing area while a game is being played, including during pauses. 2.6.3. – If a manager is found in this area or to be communicating with his team during tournament play then the entire team may be disqualified at the discretion of InGame Staff and penalties for future tournaments also imposed. 2.7.1. – Team Coaches are allowed in the match area during the warm-up period. 2.7.2. – One coach is allowed to be with the team in the match area during the draft phase. The coach is allowed to communicate with the team during the draft phase but has to leave immediately after the draft is complete. Thereafter, coaches may only enter the match area again once the game is over and are forbidden from speaking to the players in the match area during the match (including pause times). 2.7.3. – If a coach is found in the match area or to be communicating with their team during tournament play then the entire team may be disqualified at the discretion of the InGame Staff and penalties for future tournaments also imposed. 3.1.1. – In LAN tournaments, rescheduling may happen only at the discretion of the InGame Staff or Organizers (depending on tournament conditions, etc) and teams cannot request match reschedules. 3.1.2. – If reschedules are allowed in a specific tournament, these need to be requested at least 48 hours before the match (if it is an online tournament) or at least 3 matches prior to the match (if it is a LAN tournament). 3.2.1. – The game servers are offline or unavailable due to a mandatory service breakdown or outage which has been announced officially. 3.2.2. – The game servers are offline or unavailable due to a sudden service outage which is experienced in the region/country and is notified online (on Reddit, the developer’s social media or discussion forums). 3.2.4. – InGame Staff are unavailable for a match. 3.2.4. – Other instances not listed here and upto the discretion of InGame Staff. 4.1. – All matches played may be shoutcasted live and broadcast via Youtube, Facebook or other streaming platforms by InGame Esports. All broadcasting rights at the IGE South Asia Cup are owned by the organisers. This includes, but is not limited to: bots, audio streams, video streams, GOTV, demos, Dota TV or television broadcasts. InGame can assign the broadcasting rights of a match or of several matches to a third party or to the actual players themselves. In this case, terms and conditions would have to be arranged with InGame before the match. InGame reserves the right to use, distribute, and modify all parts of any stream indefinitely. All ingame footage and assets are the property of the respective developers and publishers. Players and participants cannot refuse to have their matches broadcasted by InGame or any authorized broadcaster, nor can they choose in what manner of which the match will be broadcasted. Personal streaming is not allowed unless otherwise explicitly permitted by InGame. Personal Streaming of a InGame match in any game by a player without permission, can lead to the disqualification of the team and the banning of the streaming player in the tournament. 6.2.3. – Keep in mind that it is your responsibility to generate a positive image for Esports in South Asia. Players at InGame LAN tournaments must follow any instructions from Tournament Staff for any extra activities such as photoshoots, pre-game and post-game interviews, team intro rehearsals, etc. 6.3.2. – After a match commences, the only persons allowed in these areas are the participating players, InGame Staff, Broadcasters and Organizers. 6.4.1. – Players are expected to inform the Organizers or Staff via email to [email protected] of any drivers required for the proper usage of their gaming gear in advance to the tournament. 6.6.2. – Any team that reaches the semifinals or finals of a tournament and decides to give a walkover due to whatever reason will be automatically disqualified from the tournament and the next best team will be allowed to play. If the next best team is not present or a team cannot be contacted, the subsequent decision will lie with staff. 6.6.4. – The disqualified team will not receive any prize money of any percentage and the team will not be allowed to take part in a minimum of one tournament held in the immediate future. This suspension extends to the players of the team that receives this ban. 6.6.5. – Staff may at their discretion override these rules depending on the situation at hand. 6.10.2. – The team which the participant represents will immediately be disqualified from the tournament and banned for taking part in any Tournament for a period of 6 months. 6.12.1. – In the event of intentional or accidental damages to hardware/property, the person/s responsible is expected to pay the damages to the organisers. 6.14.2. – Report it to a Staff Member who have tags clearly marked with STAFF or REFEREE on themselves. All the above player conduct restrictions are imposed upon entry from the gate of the Tournament premises (security checkpoint or main entrance gate). Any incidents that take place beyond the premises or during transit are not covered by these rules and Staff or Organizers cannot be held liable for any such incidents either. 6.16.1. – Gambling in any form, including betting on the outcome of games has no place in the world of Esports or even video gaming in general. InGame Esports has a strict policy of any form of gambling being prohibited. 6.16.4. – Any player found to be in breach of this rule will face severe penalties including lifetime bans from all Tournaments. Team official, staff, management will similarly face the maximum penalties that can be issued. Any player/team found to be cheating including but not limited to in-game cheats, faking match results, faking match demos, faking or ringing a player, playing with a disallowed player, impersonating a player/clan/organisation, will face severe penalties including lifetime bans from all Tournaments. 6.19.1. – Offering money/benefits, making threats or exerting pressure towards the Staff, its partners or sponsors with the goal of influencing a result of a match is considered competition manipulation. 6.19.2. – Any player found to be in breach of this rule will face severe penalties including lifetime bans from all Tournaments. Team official, staff, management will similarly face the maximum penalties that can be issued. Violation of the rules or failure to comply with Staff may lead to the following penalties. Depending on the severity of the offense, levels of penalties may be skipped. 9.1.4. – No Show: A team that registers for the tournament and doesn’t show up for a match or pulls out of the tournament will be considered “no show”. The scheduled match would be considered a walkover. 9.1.5. – Ban: In extreme circumstances, a team/player might be banned from playing in any single match (disqualified) in the ongoing tournament. Based on the severity of the violation this ban might extend to future tournaments. 11.3. – Disputes submitted will be treated with confidentiality and details of who reported what match, etc will not be publicly disclosed. Disputes submitted will be received by the Administration, after which the necessary particulars will be passed onto the relevant Tournament Staff. InGame Esports reserves the right to ignore or overrule any of the above-mentioned rules in order to make the competition as fair as possible. Teams and participants acknowledge the right for InGame Esports to modify the rules and regulations as and when needed. Such modifications need not necessarily be publicly announced during the progress of a tournament. No person/s shall hold the Organizers, InGame Staff, Referees, Sponsors and Partners liable in any manner whatsoever for any circumstance or situation arising from or at any of our events including but not limited to acts beyond its control, including without limitation, acts of God, acts or regulations of any governmental or supra-national authority, war, terrorist activities or national emergency, accident, fire, lightning, riot, civil commotion, explosions, strikes, lockouts, industrial disputes or epidemics. The Organizers reserves the right to deny entry to any event to anyone who violates the event rules.